You know how people put ice packets on their injuries or inflamed areas to help reduce swelling and promote healing? That’s the idea behind cryotherapy. Cryotherapy is a natural cold therapy that exposes your whole body to extreme cold – but only for a few minutes. Celebrities and athletes such as Justin Timberlake, LeBron James, and Cristiano Ronaldo are flocking to this therapy to help them in a variety of ways. But you don’t have to be a professional athlete or movie star to take advantage of this innovative treatment. Cryotherapy is a therapy that involves exposing your whole body, also called whole body cryotherapy, to extreme cold temperatures—between -148 and -220 degrees Fahrenheit—for two to five minutes. With minimal clothing on—usually a bathing suit or sports clothing—the cold penetrates your skin and sends signals to your brain to send blood to warm it up. The blood zeroes in on your torso to protect your vital organs. After the treatment, oxygenated blood rushes to the rest of your body to help with healing. This treatment was developed in Japan in the late 1970s to help people with rheumatoid arthritis. The process has been improved since then, aiding in the recovery a variety of muscle-related issues. While still relatively new in the United States, it’s becoming increasingly popular with athletes who want to speed their healing process, improve their performance, and minimize soreness. Why would anyone voluntarily step into an icebox? It may be a challenge to last the full three to five minutes, but there are numerous benefits for everyone who makes it from relief of muscle soreness to increased metabolism. Here are some of the amazing benefits of cryotherapy. Similar to the way an ice pack helps ease pain and inflammation, a whole-body cryotherapy treatment can help reduce pain and inflammation all over, as opposed to just a single area. Research suggests that cryotherapy can help speed up the recovery time of acute injuries such as muscle strain and sprains. People who have tried cryotherapy report that they feel a rush of endorphins and adrenaline for six to eight hours after the treatment. Done on a regular basis, cryotherapy can improve your overall athletic performance. Your body burns more calories in extreme temperatures because it has to work harder to stay comfortable. During a cryotherapy session, your body’s metabolic rate increases because it’s working harder to keep your body warm and comfortable. Regular sessions of cryotherapy can boost your metabolism in the long-term, which can help you lose weight and even stay warm in the winter. The cold temperatures increases blood flow in an effort to save your organs and keep your body warm. Once blood flow increases throughout your body, it flushes out any lactic acid or other waste byproducts in your muscles that cause soreness. Want to try cryotherapy? Find out more about this innovative treatment by calling Vanguard Spine & Sport in Houston, Texas, or make an appointment online. Living with chronic musculoskeletal pain is hard living. The pain hijacks almost every area of your life. Check out how chiropractic care can bring you much-needed relief from chronic pain. 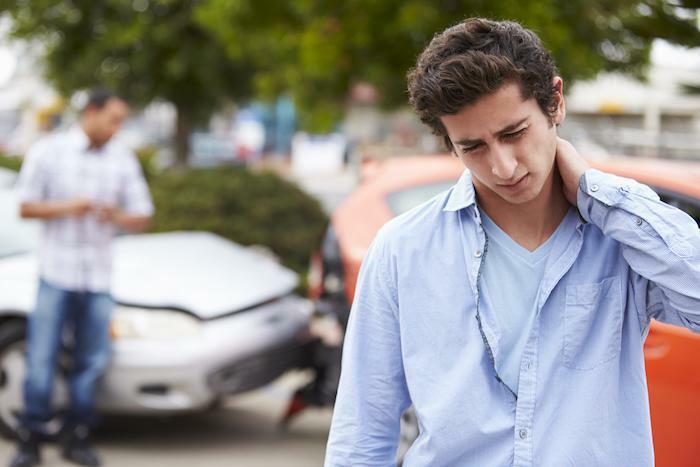 If you’ve been in an auto accident, your focus is on your main injuries. But as those heal, new symptoms may arise. Even a minor fender bender can cause damage that doesn’t appear until days, weeks, or months later. HOW DOES REGENERATIVE MEDICINE WORK?